This is a collection of infographics. I own the copyright. All infographics can be used when the source is clear to the reader, i.e. “Credits: Astronomicca.com”. Some are in Danish and some are in English. Contact me on info (a) astronomicca.com if you are interested in translated versions. Click to images to go to the full version. (Danish) Infographic quiz about different star types. (Danish) Infographic about high-mass and low-mass stars. (English) Infographic about high-mass stars. 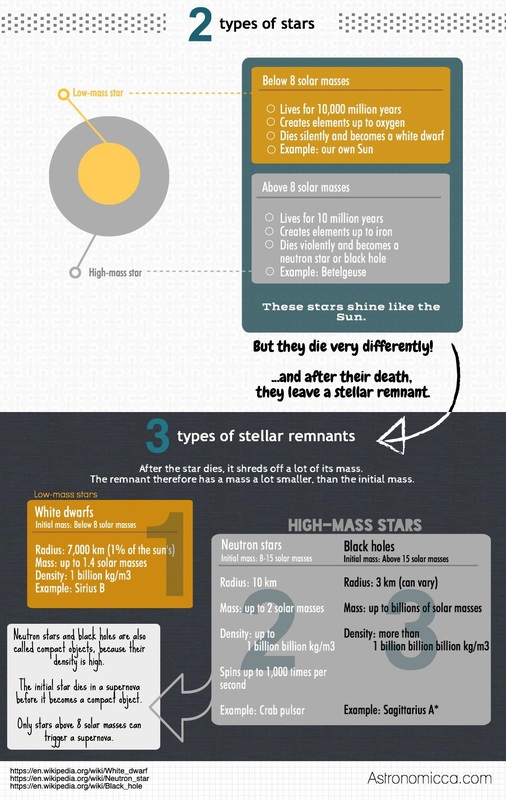 (English) Infographic about stellar remnants.